Today’s Indonesian elections were a historic event, and all credible and independent results have Jokowi-JK with a large victory over Prabowo-Hatta, ranging between 3.5 and 4 percentage points. Here I have quickly plotted three notable Quick Count (hitung cepat) reports from three reputable firms, comparing them to the results from the three polls that I discussed yesterday. It seems that the pollsters did very well. If you would like to see some results from less-than-reputable firms, click here. Prabowo declaring victory is not just pathetic, it's dangerous. I’m not sure how concerned Indonesians should be just yet, as he has talked more about “waiting for the full results” over the past hour or so. 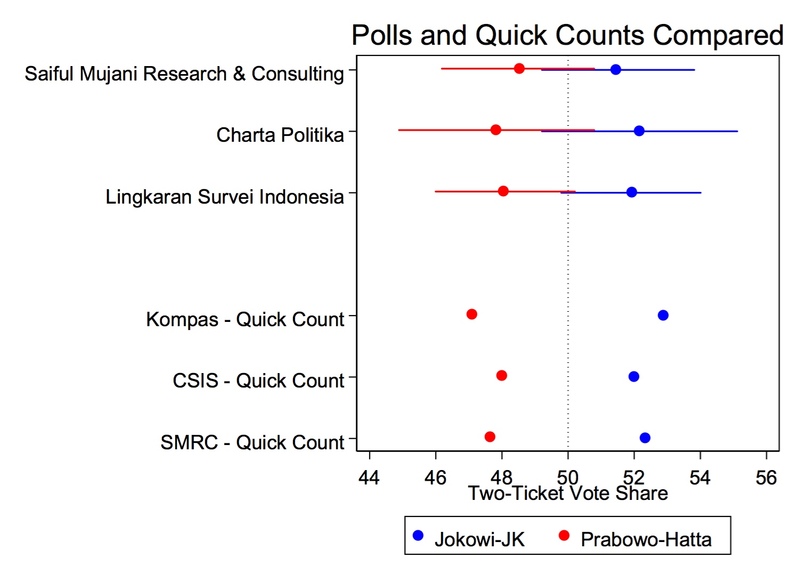 But one of my worries was that a narrow Jokowi victory would prompt a prolonged legal battle over the results. 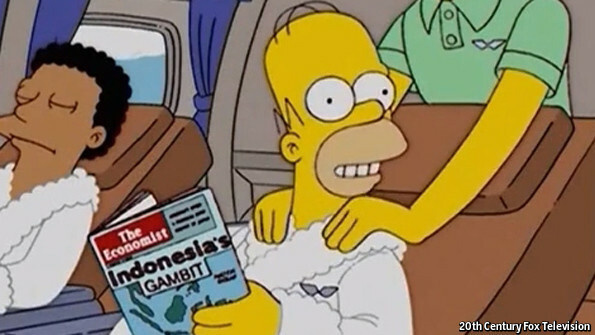 Here’s to hoping that Jokowi’s decisive victory is enough to dissuade that.